What is Cost to Compnay (CTC) and What are the components of CTC? What is CTCFor the Company: Cost to company is a term which essentially implies the amount of expenses the company will spend on an employee in a particular year. What may be an expense for the company need not necessarily be salary for the employee. For employees: Cost to company is an amount projected by the company as salary but is never what is actually received by the employee in cash. Reimbursements : It includes bonus, incentives, reimbursement of conveyance/medical/telephone/, benefits extended through various schemes like housing/vehicle/furniture/ Air-conditioners etc. Contributions: I t includes the benefits offered by the company like PF, Super Annuation, Gratuity, Medical Insurance, etc. Some companies also offer Leave Encashment, Stock Option Plans and Non cash concessions. Tax Benefit: It includes only Stock Options. What is the difference between CTC & Take Home Salary? 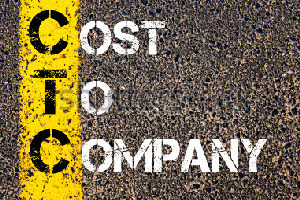 Cost to company (CTC) is the total cost that an employee is incurring in a company. Gross Salary is the one which you see every month. But this is before any deduction. CTC and its components at a Glance: Basic HRA TA Other Allowance Mobile Reimbursement / Month Gross Per Month = Sum of all the above. Gross Per Annum= 12*Gross/Month PF Contribution= 12% of Basic/Annum ESI Contribution = 4.75% of Gross/Annum Medical = The mediclaim facility provided to an employee who are not covered under ESI as the maximum ceiling for ESI is 10000/Month. Getting more than this will be covered under Mediclaim or it depends on company policy EX-Gratia/Bonus = A fixed amount as Bonus Annual Fixed Gross Cost= Gross/Annum+ Ex-gratia Annual Total Cost or CTC = AFGC + PF+ESIC Annual total cost is also called as CTC. 0 Comments on What is Cost to Compnay (CTC) and What are the components of CTC?